EYES: Dramatic cut-crease, shimmery lids, smoldering lash lines in a wash of soft ochre and cool blue accents. Lashes: House of Lashes "Pixie Luxe"
LIPS: Vampy, ravishing red ombré lips. Line the lips using Motives "Morning Coffee" lip crayon and blend towards the center of the mouth. 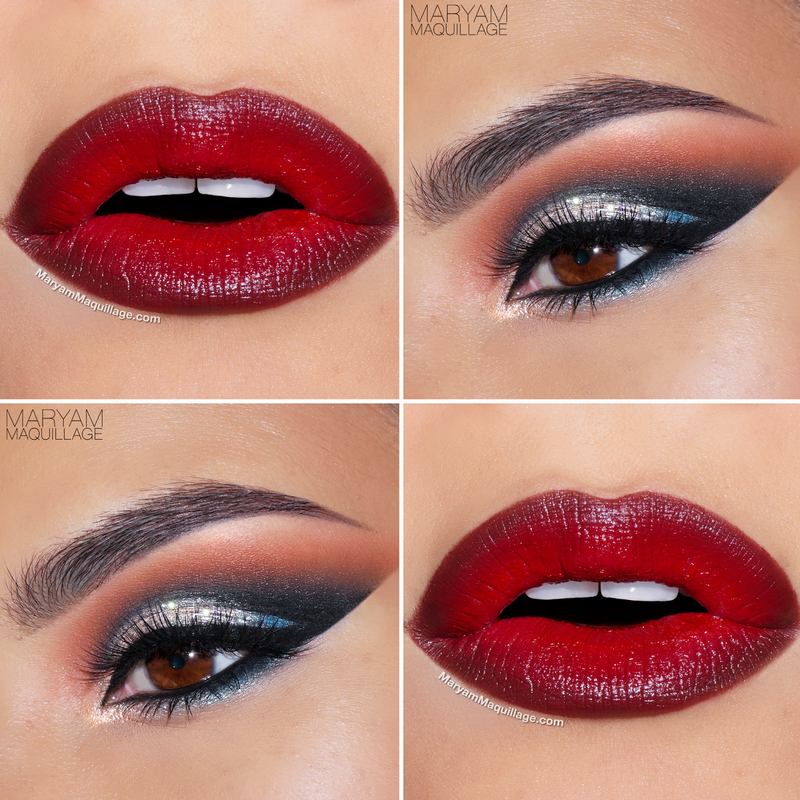 Fill in the center of the mouth with Motives lip crayon in "Red Currant". Apply Motives for La La "Naughty" lipstick over the "Morning Coffee" liner. Apply Motives for La La "Manhattan" lipstick with a lip brush over the "Red Currant" liner and blend the transitions. VOILA!!! OOTD: worn last Sunday for the Vegas Nay Stardust Tour, this ensemble sure got a lot of attention! I paired this outfit with a softer version of the makeup featured in this post and neutral glossy lips. Gold hardware completed the look! woow you look stunning !! love your lips !! I absolutely love the gradient effect on the red lip. I hope to try it one day! You always look so amazing in your photos! I love them! You are gorgeous and lip color is superb. When on the point of go forth, or perhaps in case you are making preparations for just a party like a wedding party, Makeup Tips some sort of university, or merely an exclusive evening out out partying, people always need to search your easiest. That’s really Great! Everyone wants to have liked this. More over this type of style would be used for Party Makeup.